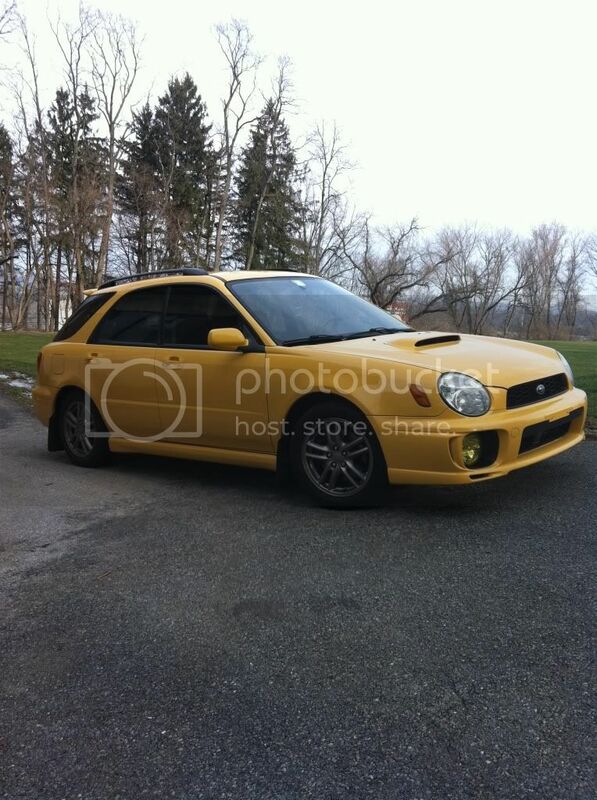 03 SY WRX Wagon Sold..
Clean Title In Hand - I have a copy of the CARFAX. I bought multiple in my car search, save yourself the $$. 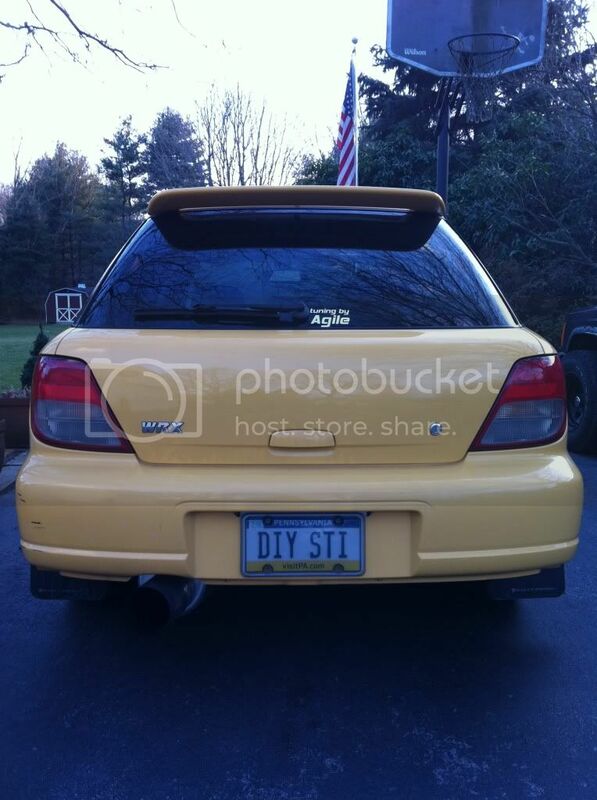 Hey guys, I'm posting my Sonic Yellow Wagon. She currently has 74,3xx miles on her, and runs great! I purchased the car in September 2009 with 46k. The car was a one FEMALE owner and I bought the car from a Honda Dealer. The woman traded the WRX in for a HONDA ODYSEY! I also purchased a 3 year warranty which still has 8 MONTHS LEFT. Title is CLEAN and in hand! 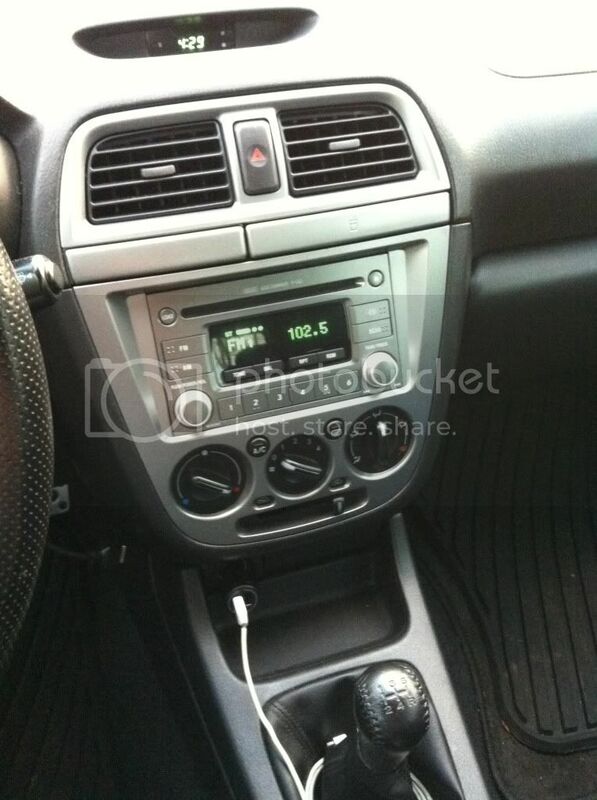 Everything works; doors, windows, lights, buttons, radio...everything! Car is ready to sell, as I've found another one. As some may know Sonic Yellow is somewhat rare. The color was only produced in early 2003. There were approximately 1,500 sedans and wagons. Only 450 of which were wagons, so this car is 1 of 450! I have a few different keys, one being a 2010 Legacy all-in-one key and fob! The car did have the head gaskets go...which I thought only was a problem for older 2.5's. Either way it happened, and there was no damage!!! The repair was covered under warranty! 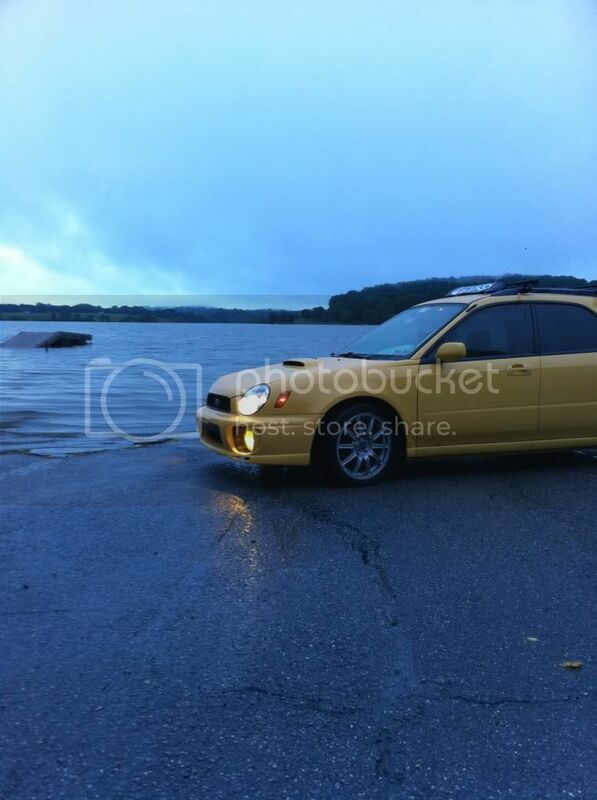 All the work was performed at Concordville Subaru. The heads were inspected, pressure tested, valves were cleaned, new head gaskets etc. While the car was there I also had them put in a new clutch, pressure plate, throw out bearing, flywheel. I also had them replace the timing belt and water pump...at that point there was no labor so it seemed like a no brainer. 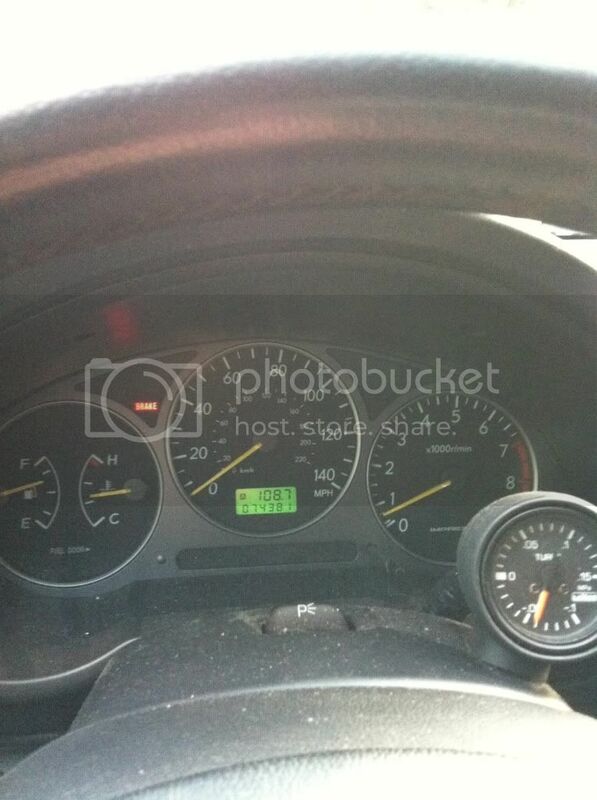 The car went Stage 2 shortly after I bought her, probably around 47k. The head gaskets went around 55k. All was well there after. I did have a phantom cylinder misfire but it turned out to be the front o2 sensor, which I replaced. I completed a compression test before the turbo swap with my buddy's fancy snap on compression tester, I might add, and the number were great. They were all about 150. The VF43 went in right around 60k. I completed the install and limped the car to Agile Automotive in Fallston, MD. The car put down 249 awhp and 250 ft/lbs. I was not satisfied so I added the header, replaced the o2, and did all the maintenance I could think of. 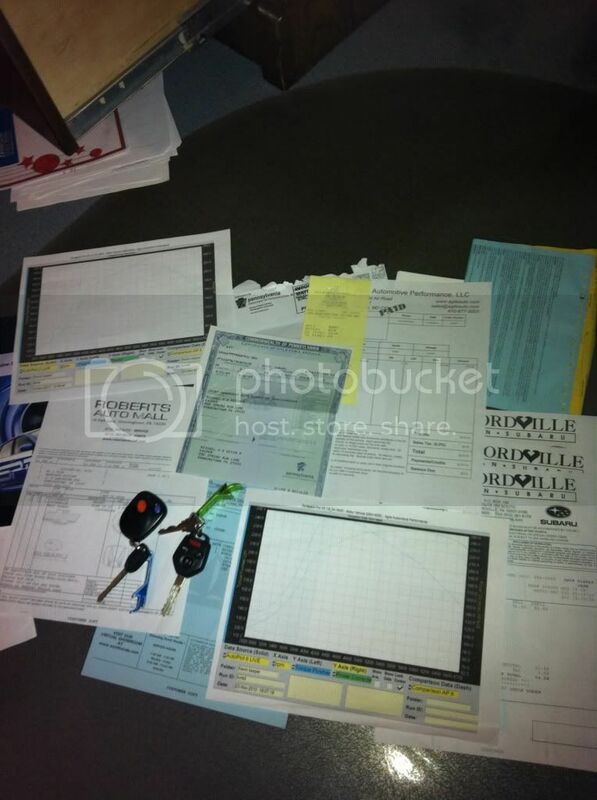 I recently had a retune on 11/18/2011 and the car put down 258 awhp and 259 ft/ lbs. The power delivery is amazing! Boost comes in smooth and fast. My reason for selling is to stop spending so much time researching the "next" thing. Everyone says that once you've been bitten by the mod bug, it doesn't stop...and it's true haha. It's been a great car, and it will be for many many more miles! My outback had 170k when I sold it and ran like a top! The best way to contact is my cell, although I do check e-mail and PM's. Thank you NASIOC, you have been an outstanding community and resource! ROCK ON! Please excuse the iPhone pictures. I can take real ones, better yet...come see for yourself! Last edited by snowboardr424; 01-09-2012 at 11:49 PM. Just picked up my replacement... Car is ready to go! Replied, thanks for the interest! I am available this weekend, and the car is always available! no response to recent emails/calls/texts? Whats up? Responded, thanks for the interest! Filled the gas tank, put rain x washer fluid in and cleaned the air vents today! Sold, indeed! Thanks Landin and Jason! I'm sure Kyle will love it! Keep in touch! thank you i hope i do also... one more week till i can see it in person. I'm sure you will, let me know! Congratulations on your return home!